Both arrows were once in the same quiver. Now, they are heading the charge on either side of Bihar's electoral divide. 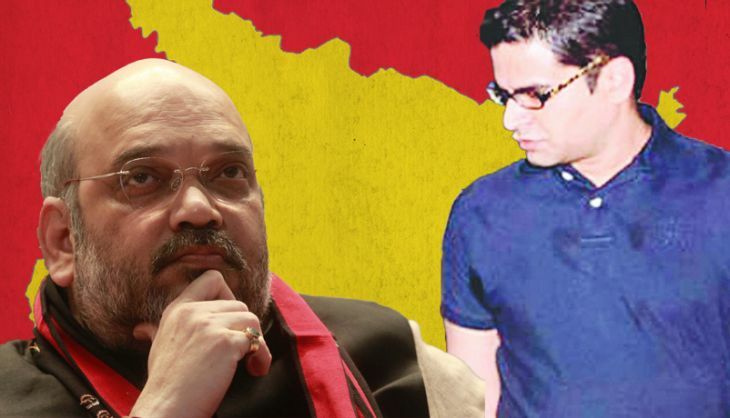 At the core of the fight between the NDA and the grand alliance is a battle of wits between Amit Shah and Prashant Kishore. 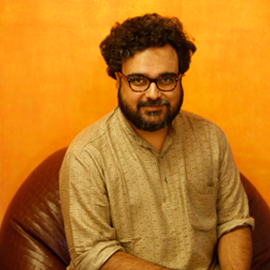 Kishore was the mastermind behind Narendra Modi's campaign for the 2014 general election. Modi's big victory brought him success and recognition. The man who managed Kishore's strategies on the ground and coordinated everything was Shah, the PM's old aide from Gujarat, who was later elevated to the position of BJP national president. Only one will win, and send the other's credibility as a political campaign manager crashing to the ground. This desperation for success has turned the alliances' proverbial 'war rooms' into literal ones. The roads of Patna are covered with the giant posters from all alliances and parties in the election. A flyover constructed under Nitish Kumar's regime is flooded with billboards of Modi. Areas which have traditionally supported the BJP have giant Nitish banners. The roars of support on either side are audible across the state. But the real fight is far more widespread. From the internet to the radio waves, print media and television channels to traditional mediums of communication and ground-level micro-strategies, the two sides have locked horns and just will not budge. In such a close fight, of course, strategies have to change rapidly. Political statements have to be reacted to in real time. In this game of manager vs manager, no one wants to get a single move wrong. BJP started out like the proverbial hare in the race. It began the campaign with huge banners and even bigger Parivartan rallies featuring PM Modi, long before the election was even announced. Hundreds of Parivartan Rath also hit the bylanes and dusty highways of Bihar. The slogan was of development, and the face was Modi's. The BJP brought all its NDA allies together on one canvas with the slogan of change, and the sense of the NDA being ahead in the poll race was palpable. Seeing this, the JD(U) decided to be the tortoise: it used cycles, door-to-door campaigning and small meetings. But that didn't mean the strategy wasn't hi-tech or modern - it used FM radio waves and campaign vehicles with large TV screens, designed to attract rural attention towards Nitish's achievements. The NDA failed the radio war. But there was always social media, which the BJP had dominated at the time of the Lok Sabha elections. However, there lies the magic of Kishore. On Facebook and Twitter too, the grand alliance has fared much better than the rivals. Every single time Modi speaks, the JD(U) handles respond in real time. Counters arrive within 15-20 minutes of the beginning of the speech. Meanwhile, some of the NDA's responses take hours. On television, though, there's no contest. Regional parties have their limitations, and it's not easy for them to beat the ruling national party at the Centre when it comes to managing TV coverage. However, this has a flip side too - every Faridabad Dalit case and Dadri lynching has been beamed on TV for days on end, which has actually ended up hurting the BJP and its allies. Unlike TV channels, most of whom are controlled from Delhi and Mumbai, the print media presence varies from region to region. As such, print coverage has been a lot more balanced on both sides. The BJP's posters mostly have a saffron background. Its allies have taken green, blue and other colours as well. The posters are dominated by the presence of Modi and Shah, who are bigger than any of the state leaders. The primary idea was to paper over the infighting and the caste divide, and harp on successes in the campaign material. However, the grand alliance has used this to start a Bihari vs Bahari (outsider) debate. The absence of a clear-cut CM candidate and other state BJP faces has given it an opportunity to keep poking the NDA, which drew an angry response from the PM recently. Nitish's campaign is on a two-coloured background - yellow and red. The choice of colours is very Indian, natural, and something that common people associate with in both rural and urban areas. Interestingly, the campaign began with lemon yellow posters, with more and more red getting added to signify an escalation of the energy level of the campaign. Nitish and Lalu shared the stage at the Swabhimaan Rally. It was to show that they are together. But since then, most of the time, they have gone their separate ways. Though they have shared banners and billboards, the idea seems to have been not to mix the two separate entities that are the JD(U) and the RJD, their capacities, or even their colours. And so, while Lalu is pursuing an aggressive campaign full of emotions and the caste factor, Nitish is playing a more sober, open role of the CM who has served all in the last 10 years. Sources say Nitish's war room is also assisting Lalu in managing social networking. Lalu has more followers than Nitish on Twitter and Facebook, and has responded in a more timely manner than any other leader. It's clear that right from the cogent announcement of the seat-sharing arrangement, right down to the final days of the campaign, Kishore has kept the grand alliance consolidated. It has presented a message of confidence and unity, while preserving the individuality of its key constituents. On the other hand, the NDA campaign is all about Modi and Shah. The grand vizier of the BJP takes all the important decisions, assisted by Nisheeth Sharan, a resident of Mumbai who traces his roots back to Madhya Pradesh. Sharan is the man who has planned and designed the banners, posters, slogans and other campaign material for the NDA. Below Shah and Sharan in the hierarchy, there are four prominent teams with leaders and political activists who execute their plans. The first team is made up of Shah's own people from Delhi - loyalists and senior leaders like JP Nadda, Anil Jain, Arun Singh and Kailash Vijayvargiya. They are the primary strategists, and state leaders take their orders from Shah's control room. The main election management team is headed by Bhupender Yadav. But after the lukewarm response to the NDA in the first two phases, a party stalwart was called in as reinforcement. Ananth Kumar, the leader who delivered 91 seats in the 2010 election as the campaign manager, was sidelined in the beginning, but has now joined hands with Dharmendra Pradhan to salvage things. Then there's a seh-prabhari team, which has faces from the party and the RSS. It includes Rajendra Singh (candidate from Dinara assembly seat), CR Patil, Pawan Sharma and Shiv Narayan. Unlike many state leaders, they are low-profile, yet more disciplined and better-performing. Another very important team is the one focussing on EBCs. It consists of leaders and even ministers from other states who belong to the EBCs, like Jharkhand's Ram Chandra Chandravanshi, Union minister Sadhvi Niranjan Jyoti, former BSP leader Dara Singh Chauhan, Sumit Mallah and Prem Kumar. State leaders are roped in to attend rallies and undertake other activities, as dictated by Shah's office. But the real strength of the BJP comes from the RSS, whose volunteers help in micro-level campaigning and door-to-door contact. Neither JD(U) nor RJD have that strong, disciplined organisation to campaign on the ground. But at the end of the day, this is Shah's campaign. Win or lose, the dis/credit will be at his doorstep. The success of the BJP in winning elections in Haryana, Jharkhand and Maharashtra have laid the groundwork for Bihar as well. The NDA is asking for votes in the name of Modi; whatever he says becomes the party line and the campaign slogan. This is also helping to keep the infighting in check, and the focus away from who the NDA's face in the state will be. Nobody wants to upset the fine upper caste-Dalit balance of the BJP and its partners. But on the other side, too, the campaign is designed around Modi. For Shah, he's the hero; for Kishore, he's the target. The Modi government's lack of significant achievements in its 18 months in office is a liability for the NDA, and Lalu and Nitish have not left alone a single chance to rebut his claims. The other difference between the two managers is their own fame - while Shah is being talked about as a aggressive and 'rude outsider', Kishore is nowhere to be seen; not even in Google searches, barring a few pictures with Modi. With just two more days of campaigning to go, the outsider-managed Nitish campaign remains 'Bihari' to the core, while the NDA is struggling to come out of the 'Bahari' branding.